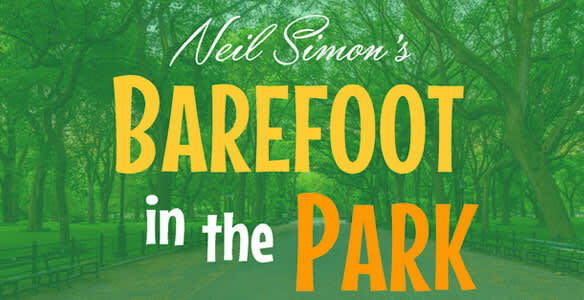 Presented by the Neil Simon Festival. This romantic comedy focuses on a pair of newlyweds as they begin married life in a tiny 5th-floor walkup apartment in Manhattan. Reduced priced tickets Wednesday & Thursday. 8pm Wed.-Saturday, 6pm Sunday. All sales final, no refunds! Exchanges may be made for the same show different date only. 24 hours notice must be given to the box office prior to original ticket date plus $5 per ticket exchange fee. In Barefoot in the Park, newlyweds Corie and Paul Bratter have completed their six-day honeymoon and are moving into their first apartment. Corie is romantic, impulsive, and enthusiastic, while her husband is a proper, careful, even “stuffy” young attorney who is more concerned with his budding legal career than he is with helping to build their love nest and perpetuating the honeymoon atmosphere. Soon Corie and Paul quarrel, Paul questioning Corie’s judgment and Corie questioning Paul’s sense of romance and adventure. Complicating their discord is Corie’s attempt to enliven the life of her widowed mother, Ethel. Against Paul’s advice, Corie tricks her mother into a blind date with their eccentric neighbor, Victor Velasco, who skis, climbs mountains, and is known as “The Bluebeard of 48th Street. By the end of act 2, the question of the blind date has precipitated such a conflict between Corie and Paul that they agree to divorce, and in act 3, they fight over the settlement before Paul stalks out. Ethel and Velasco, however, reveal that they have found romance. Ethel has rediscovered her vitality, while Velasco has decided that he must act his age and settle down. 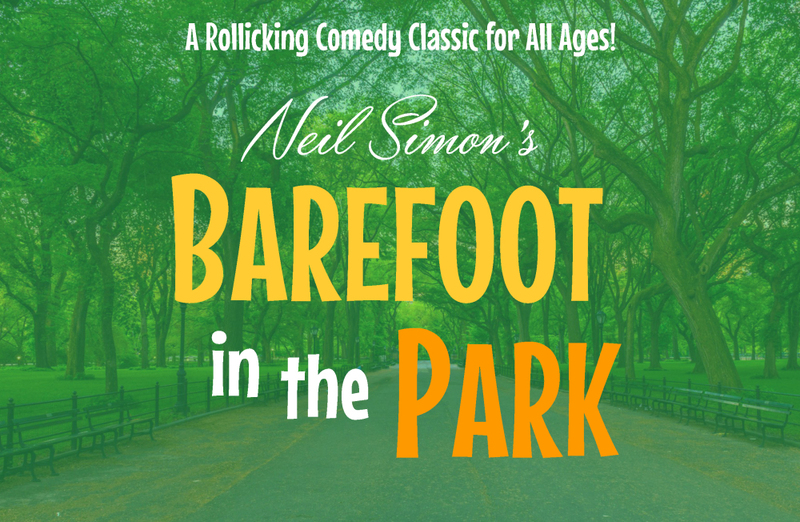 After the new lovers depart, Paul returns, outrageously drunk, having walked barefoot in the park in the middle of winter to prove that he is not a “fuddy-duddy.” The newlyweds are reconciled and promise to live happily ever after.